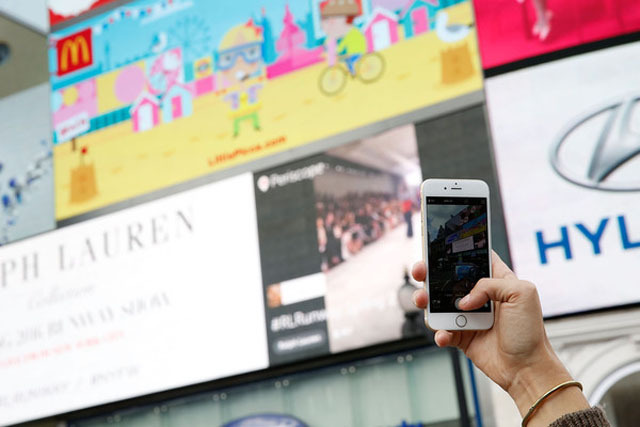 This afternoon, Ralph Lauren became the first global brand to partner with Periscope in livestreaming their New York Fashion Week SS16 catwalk on the billboards at Piccadilly Circus in London. Wow, that was a mouthful. It was truly a moment to remember as my two worlds collided - a brand I've worshipped since I was a toddler come to a city I've called home for nearly a decade and a half. You had to know I wasn't going to give this a miss. 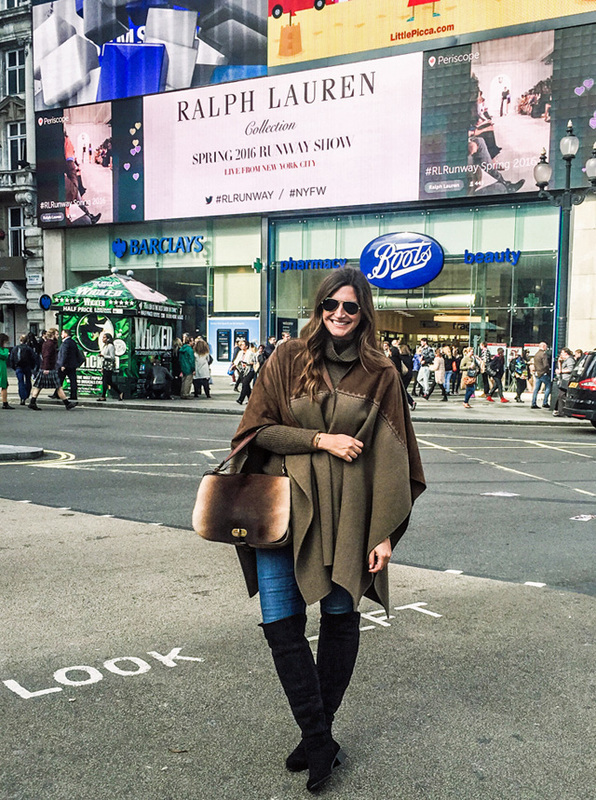 So, I marched myself down to Piccadilly Circus for the occasion, wearing Ralph Lauren Autumn Winter 2015, naturally. The crowds gathered by the dozens as we waited for the livestream to start. London was definitely at its finest. 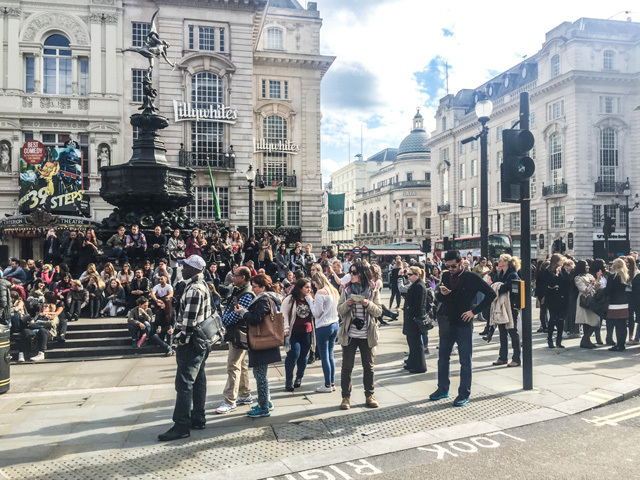 The sun was shining, double decker buses were moving to and fro and tourists were wondering about the London landmark and looking up to see what the fashion world was staring at. 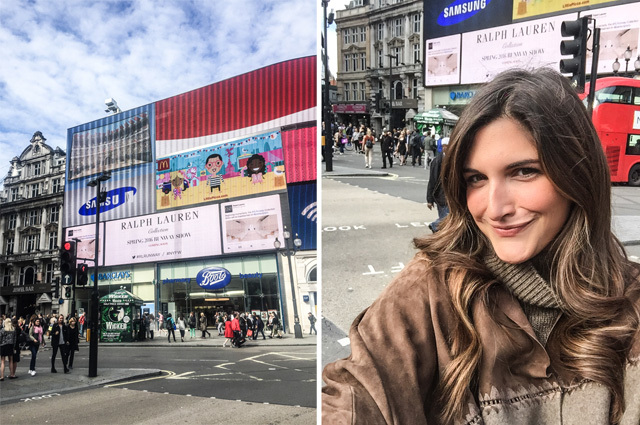 As expected, iPhones came out and the world stopped and watched as Ralph Lauren shared an intimate fashion moment with thousands from around the globe and an enthusiastic gathering of people in Piccadilly Circus. We were given the first look at the celebrity front row, which included Alec Baldwin, Julianne Moore, Jessica Chastain and Anna Wintour. Then the show began and we all held out breath as look after look was revealed in real time. 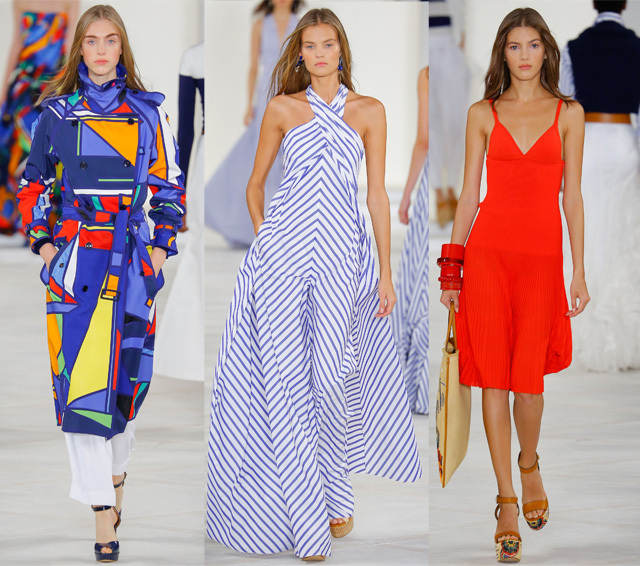 Ralph's gone nautical for SS16. Take note! Of course it's not surprising at all that Ralph Lauren is the first to take on such an advancement in technology. The brand as a whole is constantly testing the boundaries when it comes to innovation with fashion, whether that be with new communications or wearable tech. Once again, RL, I take my hat off to you. It was certainly an afternoon to remember. A few of my favorite looks from the show, for those of you that may not have been able to catch it in the afternoon. 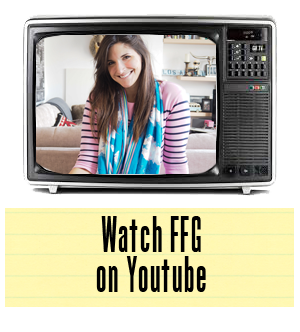 It's all gone nautical, and I'm loving every minute of it!